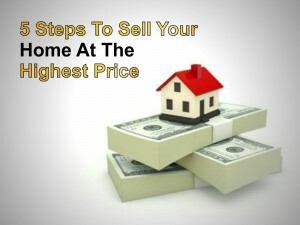 When you decide to sell your home, setting your asking price is one of the most important decisions you will ever make. Depending on how a buyer is made aware of your home, the price is often the first thing he or she sees, and many homes are discarded by prospective buyers as not being in the appropriate price range before they’re even give a chance of a showing. This is not as easy as it sounds, and pricing strategy should not be taken lightly. There is always the same dilemma “Pricing my home too high can be as costly as pricing it too low”. Taking a look at what homes in your neighborhood have sold for is only a small part of the process, and on its own is not nearly enough to help you make the best decision. A recent study, which compiles 10 years of industry research, has resulted in a new special report entitled “Pricing My Home: How to Get the Price You Want (and Need)”. This FREE report will help you understand pricing strategy from three different angles. When taken together, this information will help you price your home to not only sell, but sell for the price you want. Order this report NOW to learn how to price your home to your maximum financial advantage by filling and submitting the form on this page. In the “Notes” box include a code “your price”. If you are interested to have access to all Brochures, Real Estate Guides and VIP-Insider Reports. In the “Notes” box include a code “full access”. If you have any specific requests, type them in the “Notes” box as well. The provided information is absolutely no cost and obligation free. This is not a subscription to a mailing list or a newsletter. It will grant you access to sources and MLS® information shared with other users. Enjoy this obligation free Pricing My Home Insiders report called “Pricing My Home How to Get the Price You Want And Need“. Thank you in advance for emailing this page to friends and colleagues and sharing it on your favorite social media networks. Please use the “share” buttons below.